I often see this amphibian on my visits to southern Illinois. Sometimes it is out and about (especially during rainy weather), sometimes it is found hiding under logs and sometimes I see it in the water (especially at night when walking around the edges of ponds). 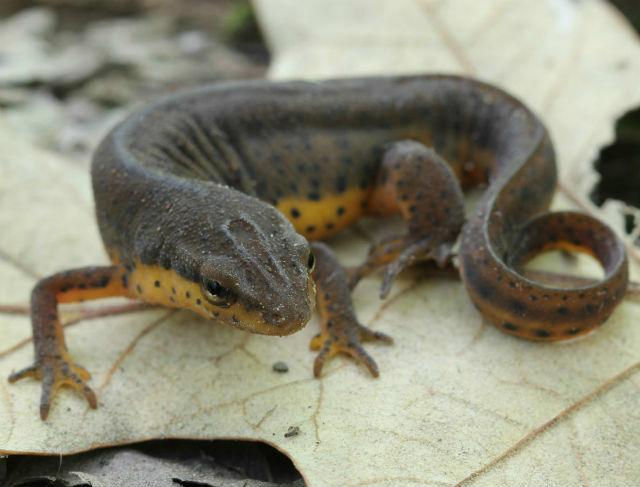 They look similar to the Eastern Newts that I find in my home state of Ohio, with olive backs covered in black spots and sporting a bright yellow belly. Two rows of small red spots may be present along the back, though in some cases this little salamander lacks the red spots entirely. 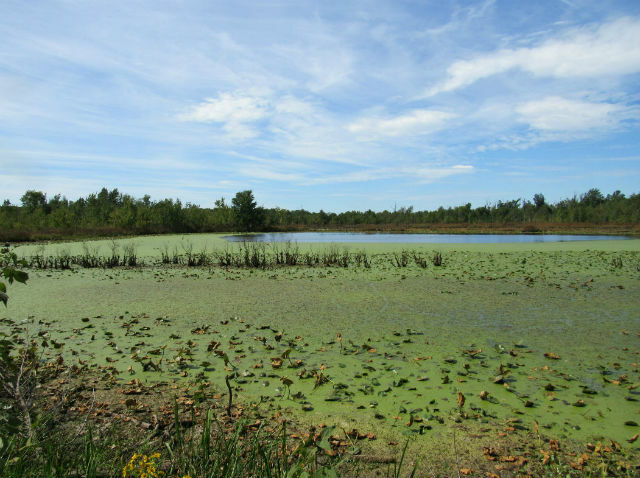 The Central Newt’s habitat is woodland ponds, swamps and occasionally water-filled ditches. Its diet consists of small aquatic invertebrates such as worms, mollusks, insects and crayfish. They may also eat tadpoles and the larvae of other salamanders. In the Spring, adults mate and females lay their eggs in water. The eggs hatch out into one-half inch tadpole-like larva. 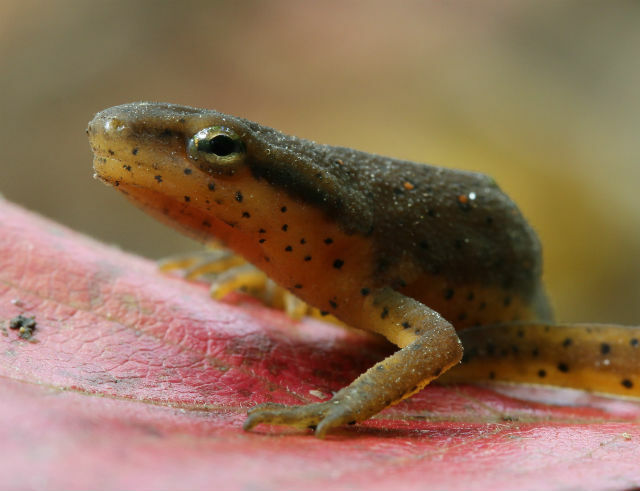 Like the Eastern Newt, the Central Newt has a land dwelling “eft” stage that spends 2 to 3 years wandering the forest floor before returning to water and leading a primarily aquatic life. 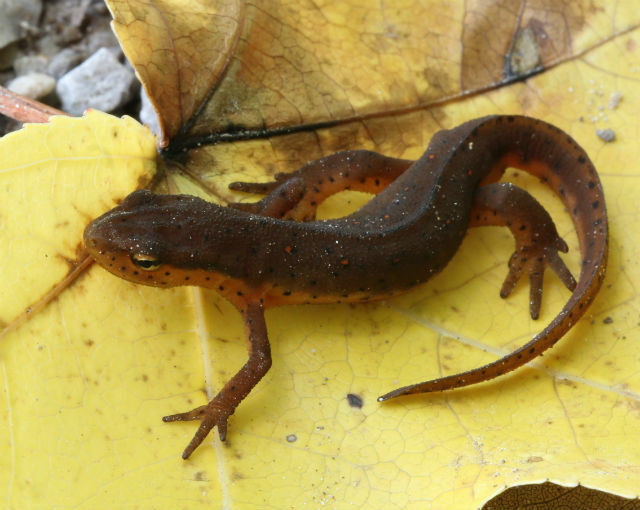 After completing their aquatic larval stage, efts emerge onto land in Autumn. 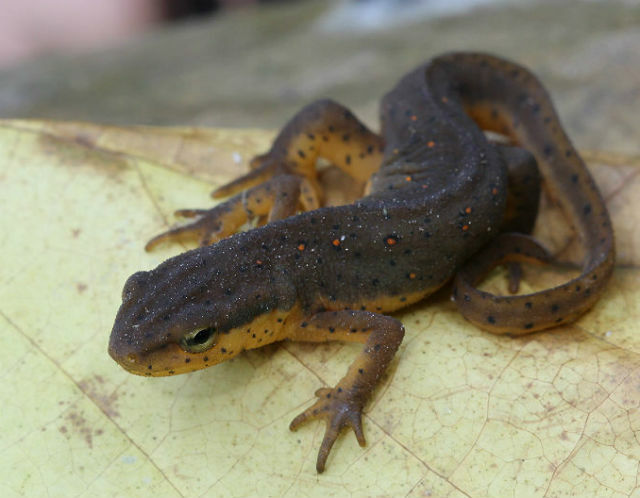 Their skin as an eft is rough, rather than smooth, like most salamanders. Their skin becomes smooth again when they become adults and return to the water. It is thought that the eft stage allows them to investigate new territories to spread to. 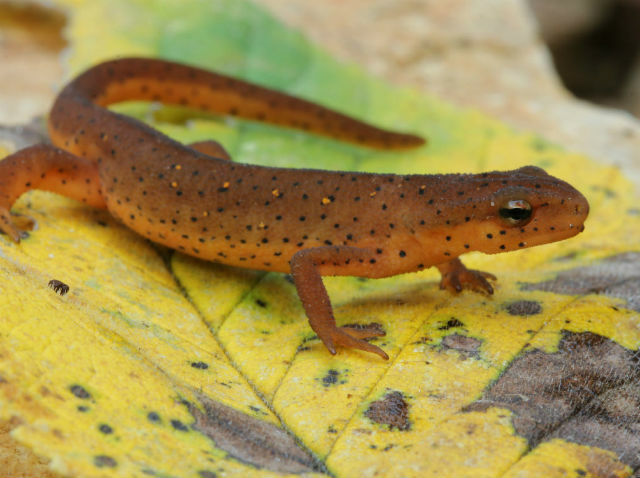 Efts are bright orange to advertise that they are toxic to most predators. 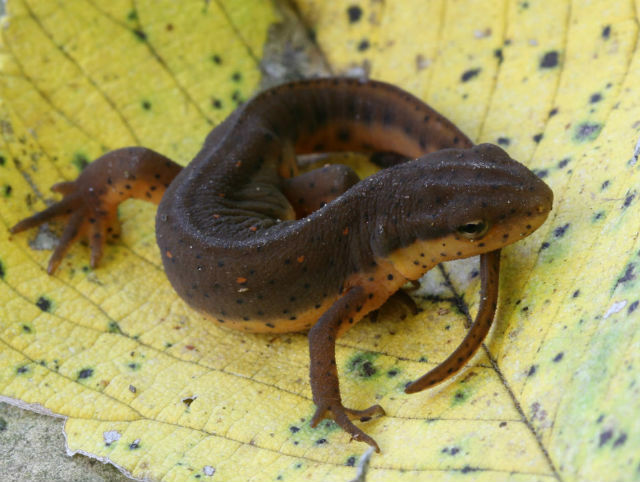 The Central Newt produces toxins in all its life stages, but the toxin is strongest during its eft stage. Their poison is tetrodotoxin, a deadly neurotoxin, which makes this species unpalatable to predatory fish and crayfish. Although usually only about four inches in total length, these creatures have a surprisingly long lifespan of well over 10 years in the wild. This entry was posted in Salamanders and tagged Central Newt by tspuckler. Bookmark the permalink.